Eunice Meyer, age 81, of Glencoe, Minnesota, passed away Wednesday, January 30, 2019, at Hennepin County Medical Center in Minneapolis, Minnesota. Funeral Service will be held Tuesday, February 5, 2019, 1:00 P.M. at First Evangelical Lutheran Church in Glencoe, Minnesota, with interment following at the church cemetery. Visitation will be held Tuesday, February 5, 2019, from 12:00-1:00 P.M., one hour prior the service at the church. Eunice Lucille (Huser) Meyer was born on September 13, 1937, in Bergen Township, McLeod County, Minnesota. She was the daughter of Harry Norman and Edythe Luella (Gee) Huser. Eunice was baptized as an infant on October 31, 1937, at the Methodist Church in Lester Prairie, Minnesota, by Pastor George Lutz, and was later confirmed in her faith as a youth on April 29, 1951, at Bergen Evangelical Lutheran Church in Bergen Township by Pastor LaVerne Nelson. She received her education in Lester Prairie and was a graduate of the Lester Prairie High School Class of 1955. In 1957, she graduated from the Minnesota Vocational School of Nursing as a L.P.N. Nurse; affiliated with Swedish Methodist Hospital. She was employed at the Swedish Methodist Hospital and the Glencoe Hospital. On September 26, 1959, Eunice was united in marriage to Leroy Meyer at Bergen Evangelical Lutheran Church in Bergen Township by Pastor Joel Rustad. After their marriage, the couple made their home in Glencoe and then in 1963 they moved to their farm in rural Glencoe. In 2013, when Eunice needed assistance with her daily care, she became a resident of GlenFields Living with Care in Glencoe. Eunice and Leroy were blessed with two sons, James and Gerald. They shared over 59 years of marriage. 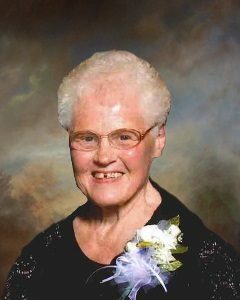 Eunice was a member of First Evangelical Lutheran Church in Glencoe. She enjoyed the outdoors, animals, birds, flowers, polka dancing, fishing at Fowl Lake and Lake of the Woods, traveling and vacationing in the summer. Eunice passed away Thursday, January 30, 2019, at Hennepin County Medical Center in Minneapolis at the age of 81 years, 4 months and 17 days. Eunice was preceded in death by her Parents, Harry and Edythe Huser; Sister, Claire Larson and her husband, Lloyd; Father-In-Law and Mother-In-Law, Alfred and Franziska Meyer; Sisters-In-Law, Nancy Meyer, Jane Meyer. So saddened to read this. Eunice and my Mom were roommates for about 2 years before Mom passed away. They got along so well together and had lots to talk about their farming days. They liked the same TV programs and Eunice would help Mom read her mail. Mom couldn’t see and Eunice couldn’t walk–so they helped each other. Now they can rejoice in heaven together again. My deepest sympathies to her husband & family– they were all so kind to our mom. Eunice I hope you enjoying walking and dancing in the streets of gold with two healthy legs and a strong heart. Sorry to read about Eunice passing. I remember all the 4th of July parties and what fun we all had every year. These are wonderful memories and just a small part of your memories of Eunice. My deepest sympathy to all of you and know your mom is not hurting any more. I am so very sorry to read of Eunice’s passing, she and I were the best of friends at Lester Prairie High in my Freshman year, she made me feel so special and so welcomed although my English was bad ( came from Germany 2 years prior). She took me under her wing . We sort of stayed in touch thru Reunions and friends, I just saw her a few years ago and I said I would come and visit her. Last Fall her cousin Karen Walters told me she was in Glencoe at the Nursing home and I told myself I would go and see her, I am so sorry that I did not, Your Family has my deepest Sympathy she was a Special Person. My condolences to your family. Eunice and I were in high school together. I spent many a slumber party at her parents home, we were friends though the years. Eunice was always cheerful and kind. May the many memories comfort you and bring you some smiles as you miss her.